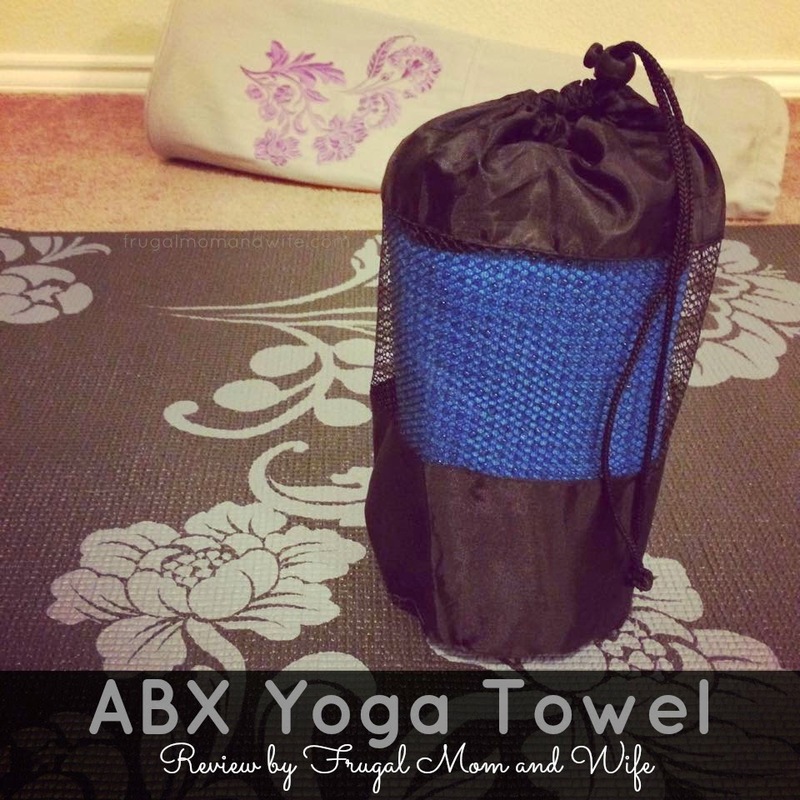 Frugal Mom and Wife: ABX Yoga Towel Review! When using your standard yoga mat it can become slippery when you have been working out for a while. You may not always able to practice in favorable temperatures causing you to stick to your mat. That is not only a gross set back but an avoidable one. Modern technology has a solution for this exact issue, a yoga towel. No longer will you stick to your mat and you can just toss it in the wash when your done. Saving time at clean up and providing stability. Imagine trusting your mat so completely that you move in ways you never dreamed possible. In the practice of Yoga, Asana denotes the art of sitting still and also any posture useful for restoring and maintaining well-being and improving the body's flexibility, vitality, and cultivating the ability to remain in seated meditation for extended periods. Any way that we may sit or stand is an asana while a posture used in yoga is called a yogasana. With no towel, a wet mat, or a wrinkled bath towel you may be destined to accepting limitations on the depth & quality of your asana. As you explore your edge you need to feel safe, secure, & strongly rooted to your mat, while supporting your strong, light frame. 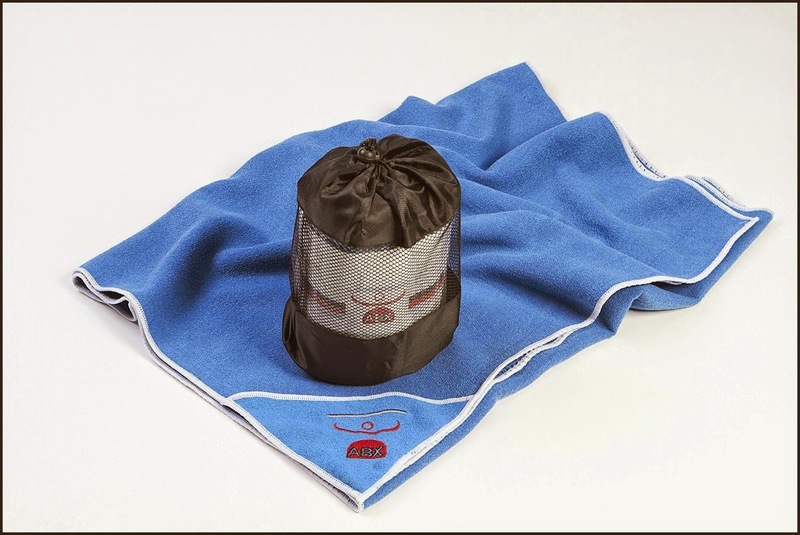 The ABX towel is your secret! This towel covers my mat entirely and even gives a bit of extra room. As you can see in the images above, it he ABX towel provides complete coverage of my yoga mat. This is vital when using this type of mat, any exposed may can throw off your stability. You can see the little dots on one side of the towel, this provides an anti-skid feature cancelling out movement. I love using this towel especially for hot yoga. It gets awful sweaty and that can be very dangerous and limit my focus. With the ABX yoga towel that is no longer an issue. My other yoga towels would bunch up basically making them one large plain towel, that's it. You get the best of both worlds with this towel, You can use it many different ways and when your done, toss it in the washing machine! Then it goes into it's own draw string bag for easy storage and travel. Everyone who purchases their mat towel gets FREE Unlimited access to their 60 Minute Intermediate Level, Astanga based Vinyasa Yoga Class "An Introduction to Arm Balances"! See the ABX Yoga Mat Towel Perform as Advertised.